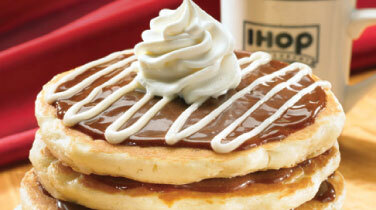 Come visit and the Fallsview IHOP Restaurant 27 floors above the Niagara Falls. Serving breakfast, lunch and dinner. Dine overlooking Niagara Falls in The Keg Steakhouse + Bar. 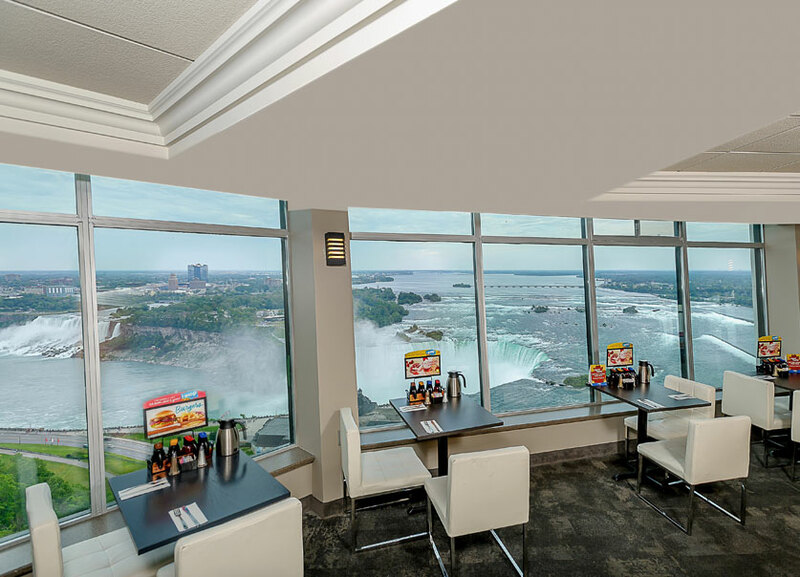 Located on the 9th floor of the Embassy Suites Hotel Niagara Falls – Fallsview. This landmark location offers guests floor to ceiling panoramic views of the famous falls. Along with famous Keg hospitality and the highest quality of steaks and seafood for a dining experience to remember. The memory of a great meal stays with you long after the table’s been cleared. This is why at Ruth’s Chris we thrive on our great food and service. Our menu offers a wide variety of dining options that will please all of our guests. 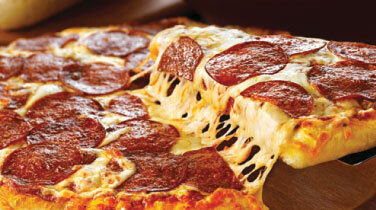 Our passion lies in our high quality ingredients, attention to detail and that special sizzle. Located on the lower lobby level of the Sheraton Four Points hotel. The flavourful aromas of Italian cuisine waft from the open kitchen located at the core of the restaurant. Start your meal with mouth-watering antipasti and homemade bread. Enjoy a rich assortment of delicious pastas and risottos, traditional Italian meat or seafood dishes all complemented by a large selection of wones. Follow your meal with a variety of homemade Italian desserts. Located in the food court of the Fallsview Casino. Come in and try the delicious Aussie-Tizers, such as the Outback’s original Bloomin’ Onion, which is carved daily by the dedicated bloomologist and cooked until golden brown. 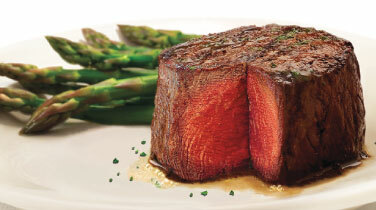 What would the Outback be without the large variety of great steaks to choose from. Their steaks are truly one of a kind. 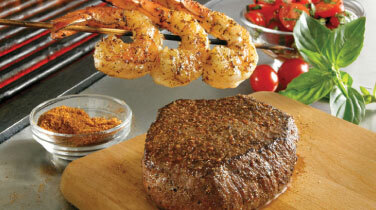 They are hand-selected, seasoned to perfection and cooked-to-order just the way you like it. Located across from the Embassy Suites Hotel Niagara Falls – Fallsview. It’s always Friday here! Great food and family fun! 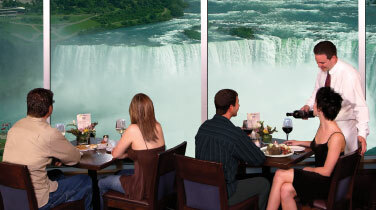 Located on the lobby level of the Embassy Suites Hotel Niagara Falls – Fallsview. 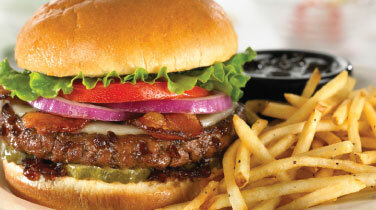 Featuring Jack Daniels grilled steaks and chicken entrees pastas, sandwiches and fantastic desserts. Children’s menu also available. You’ll come for the food, you’ll stay for the fun at T.G.I. Friday’s. 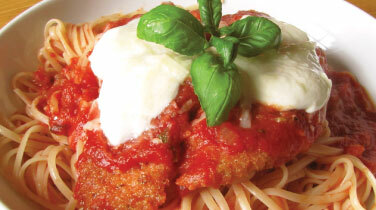 Enjoy the warmth of authentic Italian cooking at East Side Mario’s. We use the freshest ingredients and authentic Italian recipes to bring you a refreshing culinary experience. Enjoy our signature – unlimited salad or soup and garlic home loaf. We’ve added tempting new dishes and retained our old favourites that you have fallen in love with. Located on the lower lobby level of the Sheraton Four Points Hotel.